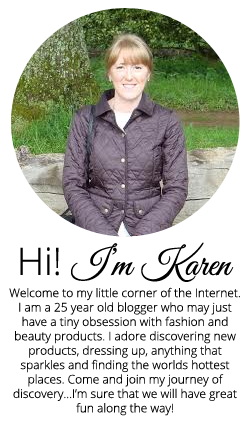 Ok so I have finally got around to doing my first blog post (hurrah!!) and I wanted to give these products a good test before I did this review. I can honestly say that they are a complete miracle duo combination and I seriously do not know how I ever lived without them! So before using these products, my skin was very very dry with red patches, especially around the nose area. I felt so stressed with it as I was trying every product out there…without any success to clear it up. In the end, i was spending a lot of money on creams that didn’t work and decided that I was no longer going to buy any more without testing them first. So one day when I stumbled across the Lancome counter in the Trafford Centre, the lady offered me a mini makeover and I was obviously going to say yes! I told the lady about my skin and how frustrated that I were with not being able to wear a lot of make up like foundation, as it just clung to patches and looked powdery. She ended up using the Genifique combined with the Hydra Zen Neurocalm moisturiser to prep my skin for the make up and she told me that these products would give my skin the much-needed moisture that it required. To be honest, I didn’t have high hopes for these, as I had been let down by so many in the past. Then when I got home that night and the following day, I couldn’t believe it! My skin felt so smooth and hydrated, and that was just from one use! I then thought I needed to try this with a weeks supply to make sure that it was not just a one-off, so I went back to the Lancome counter and asked for a sample of each, and alas my new skincare routine was born! The Genifique concentrate has multiple benefits such as; smoothing fine lines and deep wrinkles, boosts radiance, clarifies and evens skin tone, improves skin texture, increases elasticity and tonicity, and Hydrates. But it was the hydration and skin clarity that was key for me. My skin still felt very smooth and the patches and redness began to disappear. I’ve got to admit, I was very skeptical as the Genifique is advertised as anti-aging and I’m 25…I wasn’t really thinking about that yet! It also has high levels of moisture in this concentrate, which is why it works so well. Also, both of these products have a dreamy texture that seem to just melt into the skin without leaving a greasy residue. I have now been using this combo for a good 9 months now and I have never looked back. I’ve got to admit, it is a bit painful handing over the plastic to pay for these products, but they are worth every penny….and they last forever! Any skincare that has the ability to create that perfect, flawless face is worth the money in my opinion!